Dishwashers are the cornerstones of the modern life. It’s no wonder that a cracked or not working Dishwashers can amount to a big problem in most of households, and the question raised that whether to repair or replace these appliances the, AMPM Appliance Repair is answer to you where you can find Dishwasher repair in Santa Monica. 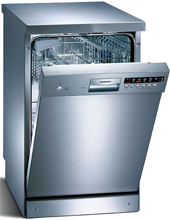 Most common problem with dishwasher, Are you experiencing one of these list below if yes then call our professional for dishwasher repair in Santa Monica, CA. The dishwasher won’t turn on at all! The root cause of your broken dishwasher could be a blown fuse, faulty wiring, a malfunctioning timer motor, a jammed pump, a faulty drive belt, a problem with the float switch, a clogged drain valve, bad seals, a faulty heating element, or a host of other issues. 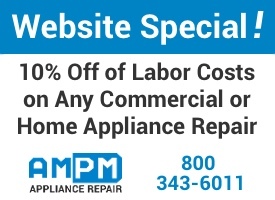 Whether you’re having trouble with your home or commercial dishwasher choose AMPM appliances repair service in Santa Monica. We believe that the key to our success and long term business is customer satisfaction. Call us at 800-343-6011 and we’ll send one of our appliance repair specialists to quickly diagnose and fix the problem. Our Santa Monica Dishwasher repair techs carry a vast inventory of parts for a range of dishwasher makes and models to ensure that. We have been providing Los Angeles and the surrounding area with a combination of outstanding service, reasonable price, warranty and reliability. Web Special: Mention that you found us online and receive 10% off the labor cost of your dishwasher repair in Santa Monica!